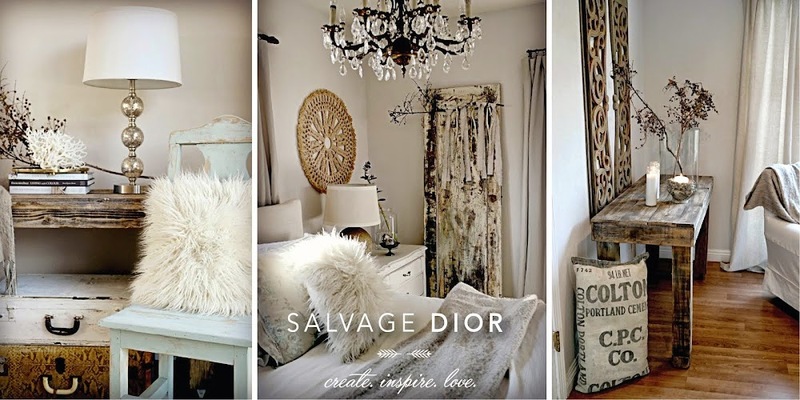 Salvage Dior: Vintage Inspiration " Industrial Soul "
I just love all the chippy industrial goodness, too, Kate! Wonderful eye candy! I think that it reflects in the pieces that I also choose for my home. I keep my boys in mind when decorating for my family and our home. I just don't think I could live amongst frills and flowers and feel comfy. Nor would they. I love the crates in your space, I think a trip is overdue, we need to hit cali soon!! OH MY Kate...I love your new look!!! Was thinking the same thing, something NEW for 2011 might just be what we all need. Adore that chippy door and the corrugated metal piece is fabulous!!! Sorry I missed you today! I have to make it into country roads, I am not to far from you!!! Love your side, I design with a bit of a strong decor side to myself as well. I like to anchor the room with a manly piece. Beautiful post as well as inspiring. Lovin' it all girl! My girlfriend, Margaret, and I will have to make a trip back to the Urban Barn to check out your space. You two are so cute and your space is lookin' good! And I'm really lovin' the new look of your blog too. I'm in the process of an update myself but it's not as easy as I'd like it to be! We checked out your space during the big sale and you were wiped out! A guy had just swooped up that crusty chandelier and I missed out! I probably could've taken him down but that wouldn't have been very lady like so I decided against it. ;). So fun to see all your finds. You must be keeping very busy these days. GORGEOUS inspiration! I big puffy heart that corrugated metal too...fabulous! GREAT new blog design as well! I love mantiques too! Your booth is so wonderful. I have two white porch columns priced at $120 and they've sat there forever. My shoppers I think are more of the yard sale version. It all looks great Kate. I've been off the past four days, babysitting duties called! Can't wait to see your NEW looks today! Hi Kate, I really love feminine things... but I also love the industrial, rusty and crusty things too! I love love love your old doors, their gorgeous... and they make such a great back drop for taken pictures too! Hope you have a wonderful weekend!!! Ohhhhhhhhhh my love it all!! Hi Kate - Love your new display, especially the hanging candleholders. I haven't had the chance to go back to "Roads" yet but you know I will. 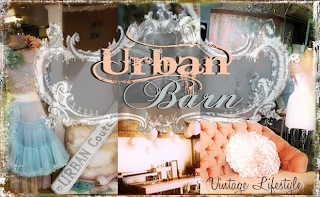 Also excited that you're opening up a booth in Urban Farm. It's closer to me than OC, so please let me know when you start there. I will have to visit it of course. You don't have to publish this ...LOL !!! Beautiful job!! I can't wait to see your space at CR. Did you move to a different location in there? I love everything that you did, gorgeous! I just saw that you added me to your blog list! LOVE it, I want to come live in your CR space!!! Thanks so much for joining the party!! Hi Kate...looks simply elegant!! Just like you! As always, such beauty! Even in the manly stuff! These type of shops really get my creative juices flowing! My home is decorated with so many wonderful finds from flea-market shops... (I feel it is my duty to help the economy in this manner : ) How I would love to visit your space! Your photos are beautiful. The texture of that peeling paint, fabulous! And the treasures you display.... delightful!!! I'm having a give-away of a glittered "Reach For Your Dreams" friendship wand on my blog, I hope you'll stop by this week!